YOU get to be the hero behind the wheel! Join the pups of the PAW Patrol as they save the day! 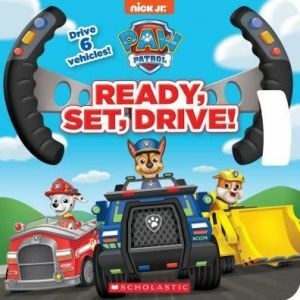 Just grab the handles on every spread of this book to drive six different vehicles on their way to six different rescues! Steer Rubble's digger, Skye's copter, Marshall's fire engine, Zuma's hovercraft, Rocky's recycling truck, and even Chase's police car. It's time for a ruff-ruff rescue! Includes a unique pop-up dashboard on every spread!